See also original Unlimited V Hosting plan location on their website! Unlimited shared web hosting package is the best option for website owners planning to host e-commerce sites without having to worry about bandwidth and space. 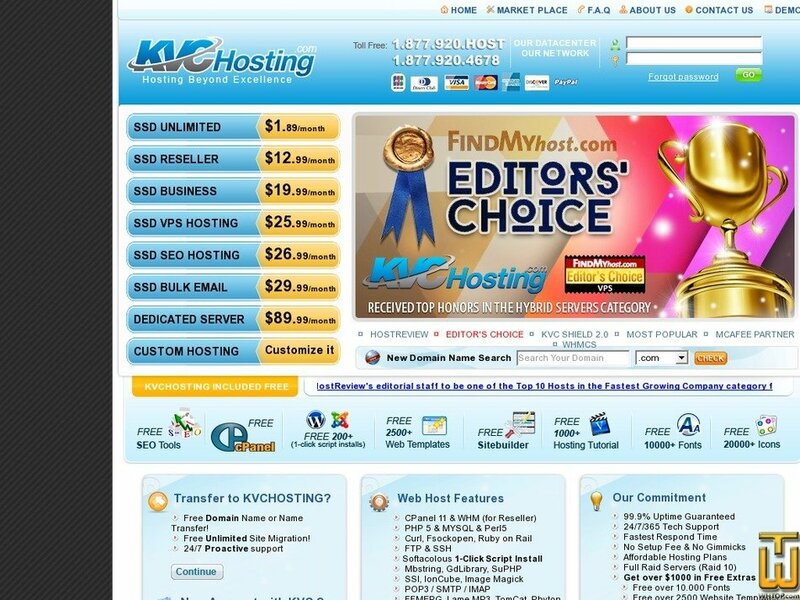 Our unlimited shared web hosting plan is among the most popular shared hosting services offered at KVCWebhosting.com. We also include marketing programs such as Adwords Credit, Webmastertools, 70+SEO Tools and Website builder (RVSiteBuilder) for our clients and not to mention, 3000+ website templates available for download once you've signed up for our unlimited shared hosting package options. Our shared web hosting services uses one of the most powerful servers, XEON Happertown with 8CPUs and 10GB of RAM. Price: $ 2.99/mo. VAT exc. This Plan For Big Business or Commercial Website.